Twelve years ago I started my business here in Westchester. I was 26 years old, new to Los Angeles, new to Westchester and new to my career. I didn’t know anyone, but I was ready to meet people and get involved; this community responded and welcomed me with open arms! Four gentlemen in particular went out of their way: Howard Drollinger, Alan Cassman, Morrey Plotkin and Lloyd Hild. These men are Westchester legends. I cannot begin to list their awards and accolades. By the time I met each of them, they were all well into their 80’s, yet, I have never met four men so involved, so energetic and so full of life. Howard, Alan, Morrey and Lloyd were the epitome of community leaders. They were not only successful businessmen, but they were hard working, honest, caring and involved citizens. They have since passed away and with Lloyd passing away most recently this past August, I couldn’t help but reflect on the affect they had on me personally, and more importantly, on this whole community. I opened my first office at 8939 Sepulveda Blvd. in 2004 (across the street from The Parking Spot), in one of Howard Drollinger’s buildings. He immediately took me under his wing and brought me to the Westchester Rotary Club, proudly introducing his newest tenant to his friends and local business leaders. Anyone who has lived in Westchester any length of time has seen the Drollinger name and I can tell you first-hand that we should be very proud of the effect he (and now his family) have had in literally shaping this community. Alan “Bud” Cassman had the office across the courtyard from me. He was an estate planning attorney. Actively involved with the Westchester YMCA, Airport Marina Counseling Service and the Lions Club, he introduced me to the sport of paddle tennis, taught me how to network and motivated me with his infectious positive energy. I met Morrey Plotkin when I joined the Westchester YMCA board. Morey spoke up and made his voice heard; he was full of opinions and passionate about making the Y even better. He taught me that to just sit on the board wasn’t enough, but rather to really care was to be prepared and get involved. He was also active in the chamber of commerce, Westchester Playa Village and the Flight Path Learning Center. Lloyd Hild was a financial advisor, like myself, but with a 50-year head start on me. He taught me about what it means to be nice, to be genuine, and to care about your clients and your community. Lloyd had perfect attendance (along with Howard) at the Rotary Club; he sang in the choir at the Westchester Methodist Church, was on the YMCA board and active in the chamber. Howard, Alan, Morrey and Lloyd were pillars in our community. If you live or work in Westchester, I believe you need to know their names and know how much they cared about this community. So I ask you, are you one of today’s leaders? If so, I commend you! And who will be tomorrow’s leaders and community pillars? I believe we all need to surround ourselves with positive people who give us strength and help us grow. I encourage you to find your mentors and to be a mentor. It’s about being involved: volunteering, sharing what we’ve learned and helping the next person succeed. In doing this we can build great communities, make a life-long difference in others, leave a legacy, strengthen our neighborhoods and help the next “up-and-comer” find their way. So to Howard, Alan, Morrey and Lloyd, although you are missed, please know that your legacies live on! 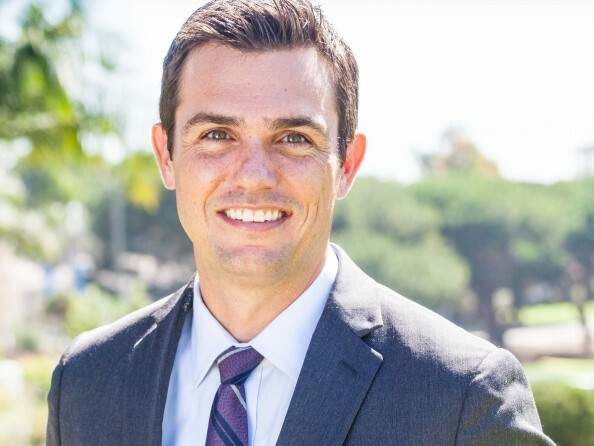 Spencer Kelly is a financial advisor and is active in the Westchester community through his membership in the Westchester Rotary Club and as a member of the Westchester YMCA Board of Managers.